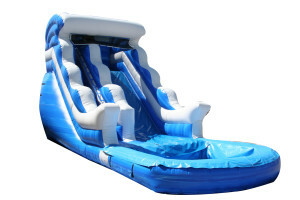 Inflatable slides are the perfect attraction for a summer party in your backyard. 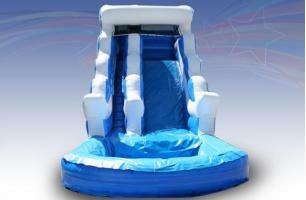 The 18' Blue Wave slide is an enormous slide of fun that will fill your guests with everlasting thrills. And once they hit the splash pool at the bottom, they'll be overcome with relief as the cool water shields them from the sun.